I love food, and I love travel. Experiencing life in a different place, tasting new flavors, smelling salty or unfamiliar air and trying to capture it in my memory or through the lens of my camera resets my soul, makes me smile and reminds me of what life offers. One year ago, I was recovering from surgery to remove more thyroid cancer. A year later, I’m feeling the sand between my toes, listening to the waves crash on the beach, and enjoying a culinary tour of Mazatlán, Mexico. One thing I love to bring home is a favorite taste to make in my own kitchen. 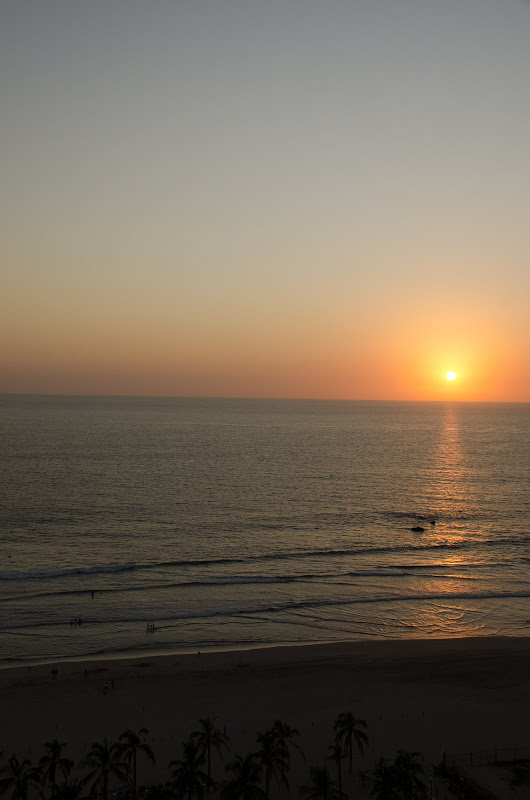 Mazatlán is known as the Pearl of the Pacific. 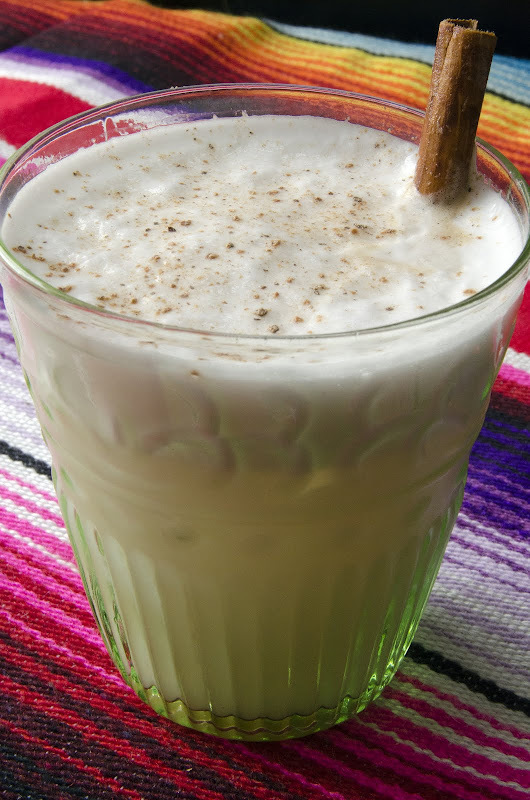 For me, the pearl-colored beverage, Horchata (or-CHA-tah), will always remind me of Mazatlán and Mexico. It was also one of the first things I looked up when I got home. If you love rice pudding, then Horchata is rice pudding in liquid form: rice (along with nuts sometimes) and cinnamon are soaked in water (or milk) and then sweetened and flavored with vanilla and other spices and finally strained and poured over ice. 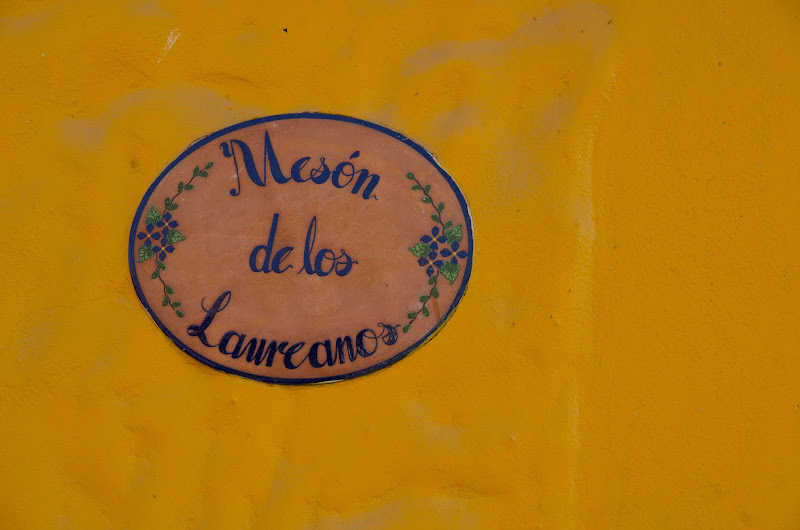 I tasted the best Horchata at a small village restaurant called El Mesón de los Laureanos in El Quelite just 45 minutes outside of Mazatlán. It wasn’t too sweet and quenched my thirst after a hot morning of sun and tequila tasting. Variations include almonds, lime zest, or even pecans and popcorn. Momofuku Milk Bar serves a Horchata Soft Serve Ice Cream with Cinnamon. And adding a dash of Tequila can improve its already soothing qualities. Salud! In a blender, blend the rice to break it up into small pieces. In a large bowl, blend the rice, cinnamon sticks and water. Cover and store in the refrigerator for 6 hours, or overnight. To make the sugar syrup, melt sugar and water in a medium-heavy pot over medium-high heat until the sugar is melted. Add the vanilla. Let cool. Remove the cinnamon sticks from the rice mixture. Strain the rice mixture through cheesecloth and squeeze out the rice to get the entire flavor out of the rice. Add the sugar syrup, to taste. To finish, in a blender add 1 cup of the strained-rice/sugar-syrup mixture and ½ cup milk (or to taste). Blend until frothy. Pour into a glass and garnish with ground cinnamon and nutmeg. 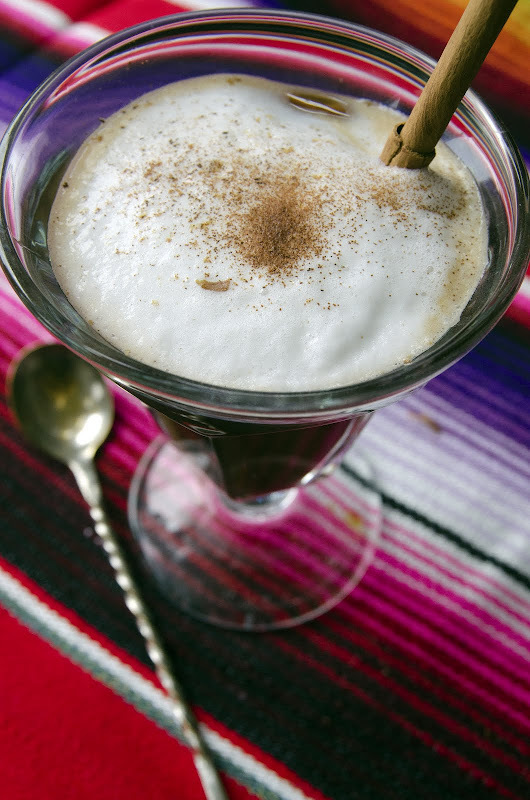 For Horchata Coffee, prepare a double espresso. Froth ½ cup milk with ½ cup Horchata. Mix and garnish with ground cinnamon and nutmeg. Disclosure: I would like to thank www.gomazatlan.com for inviting me to the 2011 Gran Fiesta Amigos. All stories, opinions and passion for all things Mexico shared on my blog are completely my own. Those photos sum up exactly what I associate with Mexico - sunshine, vibrant colours and food! Just add some ruins, dessert and jungle and its all there! I can make my own! I never thought of that. Thanks Shari. As the final step, do you blend 1 cup of the rice that you strained out of the blended rice liquid, or is this a cup of fresh rice? Thanks! Thanks for your comments, Andrew & Holly! Wonderful photos - boy do I wish I were there right now! I've never had Horchata. I think I'm missing out! LOVE Horchata! 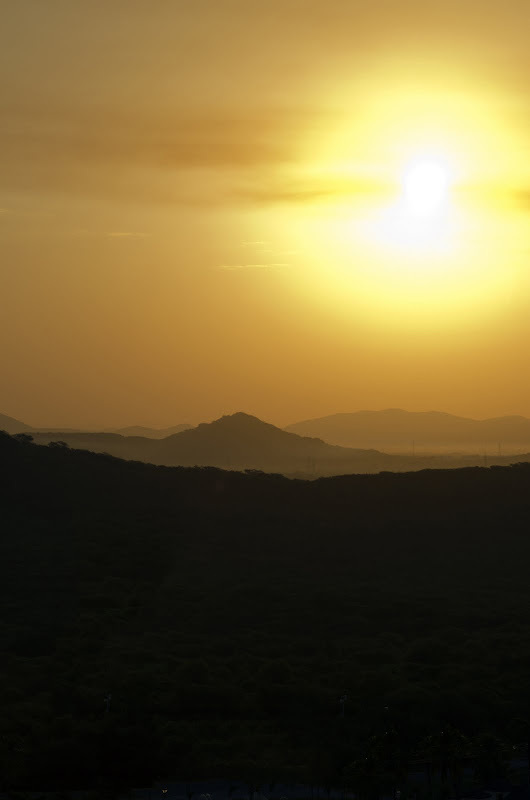 and now I am day dreaing about being in Mexico- Beautiful pictures! Interesting! 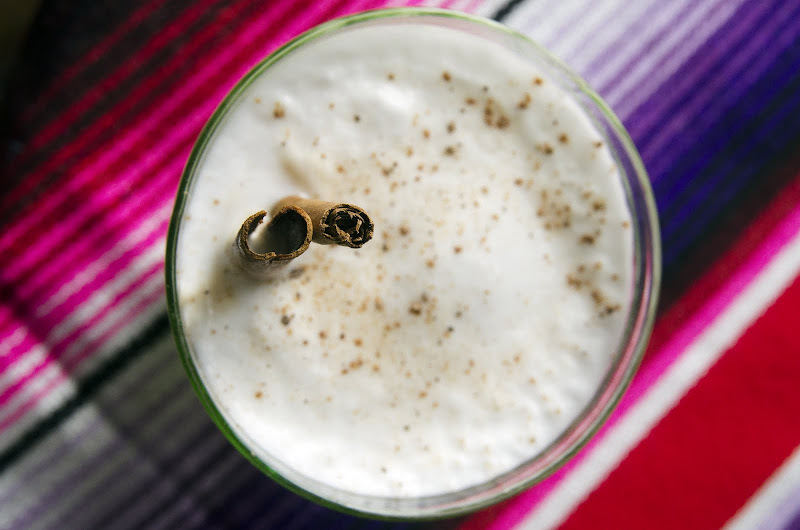 I just recently discovered horchata and had no idea about its history. I love your historical information about how the preparation has changed depending on geography.